How many Arcee toys are there? Discussion in 'Transformers Toy Discussion' started by Victorysabre, Jan 17, 2008. My collection has become quite Specialized, and I was thinking about turning a little focus on Arcee. There have been too few toys of this character I love, so I was thinking about trying to get the few I don't have (including one I foolishly sold off... how I regret that). So if anyone knows of any that are not on the following list, please let me know. I want an idea of what kind of project I would be getting myself into. 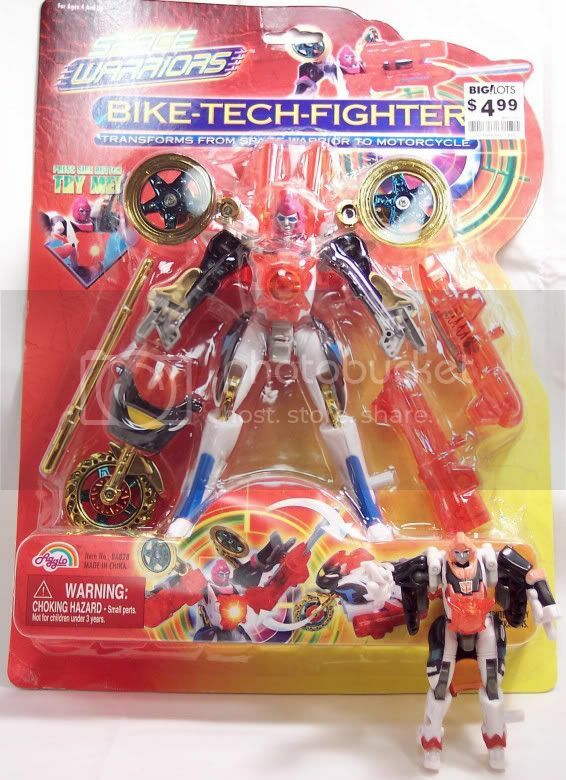 Can anyone confirm if the WST Arcee from Japan was a strictly fan item or if that was licensed? I was under the impression it was fan made, produced, distributed, and that was it. So, anyone know of any figures or varients I missed? Only going with official products here. Especially after the mess I had with that A.R.C. Cyber Femmebot. EDIT: Added a few others I forgot about. Damn... will I really buy some Minicons just to have all the Arcees? Armada Sureshock was named Arcee in Micron Legend. There was even a pink and white redeco. at target recently, they had movie deluxe arcee in brown. rather than the blue which i don't see anymore. Especially after the mess I had with that A.R.C. Cyber Femmebot. You mean the movie basic? The Brownish one is Elita one. arcee pvc figure hasbro and takara both had it. Which part? The part where I waited a year for a toy that I paid $300 for up front? The part where it broke the same day I got it while I GENTLY tried to transform it? The part where it took another 6 months+ to get my money back? Or the part where it took days if not weeks of persistent emails on my part just to get him to give me an update each and every step of the process from purchase to refund? For all I know, Hal is a very nice, very responsible guy, and I just got him at a rough patch. I wish him nothing but the best. But my experience with the Cyberfemmebot product was very bad, and as much as I want a G1ish Arcee, I will hold out for an official one. Forgot about those. I have the PVC one (Hasbro and Takara version both) but that WST will be tricky. I was under the impression that was a fan kit, not a licensed product. I've read here at tfw that to sell at wonderfest the products need to be licensed, so companies give out temporary licenses for products only sold at the show. So yes in a way it's fan made but in a way it's official too. theres also official prints, and statues too. Not sure if I'll go after the WST... I'll have to think about that. I have the Arcee Lithograph and a bootyfull Arcee print by my friend Brett. I think I can make a pretty respectable Arcee shrine before too long. It'd be a nice counterpart to my Blackout collection (which is insane). Super Link Ariel had a different shade of pink than Energon Arcee, if you're counting Hasbro/Takara variants. There was also a repaint called Ariel Paradron Type, which was the same character (rather than being Paradron Medic). There's also the possibility of the Animated Arcee getting a toy somewhere down the road, assuming she plays enough of a role to warrant one. And that Titanium Arcee which only got to the early stages might yet someday see release, maybe. My understanding of the Ariel character in Superlink is that she is intended as Elita-1, not Arcee. But yeah, I have all the recolors of that mold. I love me my bike chick bots. As I recall, Hal started a flamewar with this very board a while back. I've had no desire to ever buy from him. But, it looks like you've covered all the Arcees I know of.